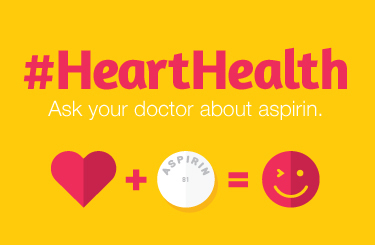 All logo and badge designs are in png format and ready to be added to any collateral or creative piece to promote the “Ask About Aspirin” initiative. Click on a design and a new window will appear. Right-click and “save as” to your computer.